Thread: If you could... would it be? 1. If you could have one persons sketchbook to keep and study, who's would it be? 2. If you could have a piece of art created by anyone of anything, who would draw it and what would it be of? 3. If you could be taught to draw by anyone, who would it be? 4. If you could only see one persons artwork for the rest of your life and no one elses, whos would it be? 5. If you could only use one medium for the rest of your life, what would it be? 6. If you could own any piece of art that has already been created, what would it be? 7. If you could live with 3 other artists, who would they be? 8. If you could be the best in one field of art, what would it be? Go go go. feel free to suggest questions to add! Last edited by Fraz; December 15th, 2008 at 02:57 PM. 2) "Extinction of modern art", it would be a live performance piece done by everybody in the world. 6) Mona Lisa, think of the publicity. 7) None, unless you mean keep them in the basement behind looking glass. In that case John Angel, Tony Ryder and Vilppu. Once they're done teaching, they will be released into the wild again. Last edited by Hyskoa; December 14th, 2008 at 12:44 PM. 2. If you could have a piece of art created by anyone of anything, who would draw it and what would it be of? 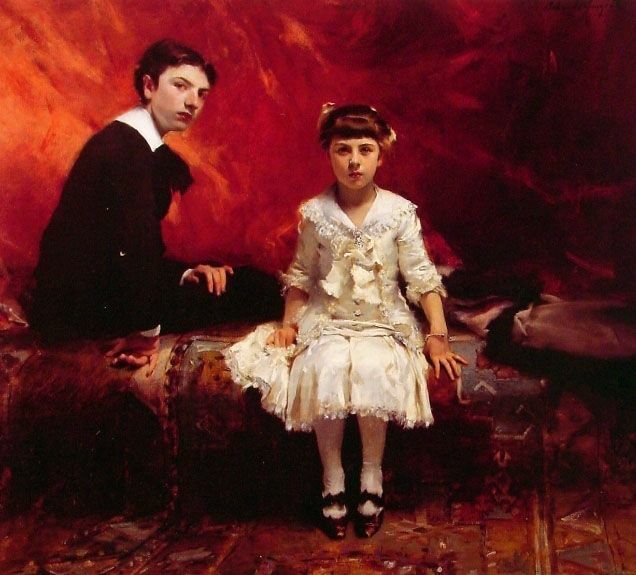 It'd be great to watch Sargent paint a large portrait. It'd also be cool to have Jim Henson make a muppet of me. 3. If you could be taught to draw by anyone, who would it be? Michelangelo, or Da Vinci? 4. If you could only see one persons artwork for the rest of your life and no one elses, whos would it be?... tough question. I'd choose a living artist so I can keep seeing new things. Maybe Aurelie Neyret? or Alpenflegger - that way there's always tons of updates. 5. If you could only use one medium for the rest of your life, what would it be? - Oil. 1) Boris Vallejo. A life long idol, probably even before I understood why...i would just kill for some of his drawings. 2) Rebecca Guay. I find her sweet art very enchanting, but if I could have her paint anything it would be her dark fairies from some of her most recent magic cards (bitterblossom). I love dark art, and mixing her natural sweetness with that darkness just touches my heart. 3) Boris, agian. From my understanding he is actually a really good teacher. 5) Easy. Oil paints. However it not being able to blow glass ever would be fairly saddening..
1) Bjorn Hurri, ALL his sketchbooks. That man is an art machine! 4) Ah I can't decide! 5) I want to say oil but I'll go with digital. I lovelovelove oils but I also love how fast and unstressful digital painting is. 4. Can't answer that one, because it would never end well. 6. Don't really have one. Wow. I answered only one question. 1. John William Waterhouse. Or the ones of Mucha. 2. I'd love to see Ilja Repin paint anything (big). 3. Ilja Repin and/or Lèon Bonnat. 4. I second Hyskoa on Rembrandt. Can't answer the last two questions yet. 3. If you could be taught to draw by anyone, who would it be? 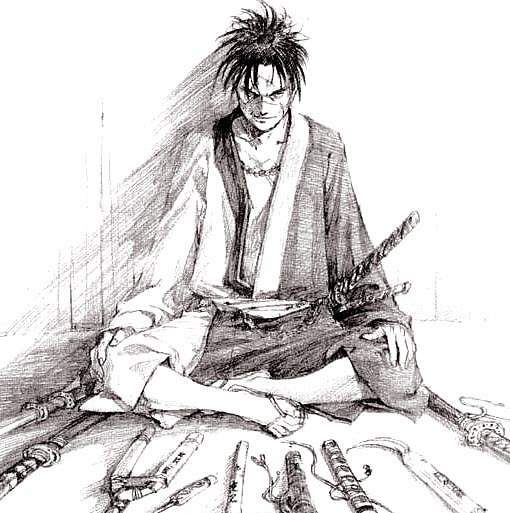 Hiroaki Samura, of course. 4. If you could only see one persons artwork for the rest of your life and no one elses, whos would it be? Aww... so sad... maybe Van Gogh. 5. If you could only use one medium for the rest of your life, what would it be? I assume that drawing will still exist... so for me, watercolor. 6. If you could own any piece of art that has already been created, what would it be? only one again? 2. A painting by Alma-Tadema of me in front of a massive, beautiful building (with a healthy number of flowers scattered about).